Operation Storm Walk ended up being a looooong walk down a narrow death corridor of an alley. The goal? Snag a VIP and evac out. The evac point was nearly in sight from the start of the level. I thought it was gonna be cake (or alien cake that looks like regular cake except for the part of the cake obscured by a sinister mask). Problem: every time my squad so much as twitched, a new swarm of aliens emerged from the shadows. Snake Fuckers wreaked havoc on my front line while Teleport Bastards and Totally Not Krogans From Mass Effect slammed my sharpshooters. It was gnarly as hell. We barely made it out alive, and I had to settle for killing the VIP rather than apprehending him alive. In other words, it was an apt mission name. Operation Vengeful Dance saw me lose one of my best characters, a Specialist who was part of my original squad. I pushed too hard too soon, and my Specialist ended up being the character with his neck sticking out further than everybody else for one turn. That’s all it took. The rest of the mission was coldly calculated vengeance. Each time my sharpshooters connected with critical shots, it felt like righteous fury expelling itself in tiny gasps. My squad moved with demonic fury. Each footfall, each alien corpse hitting the ground came together in a grim sort of rhythm. Operation Silent Tears? 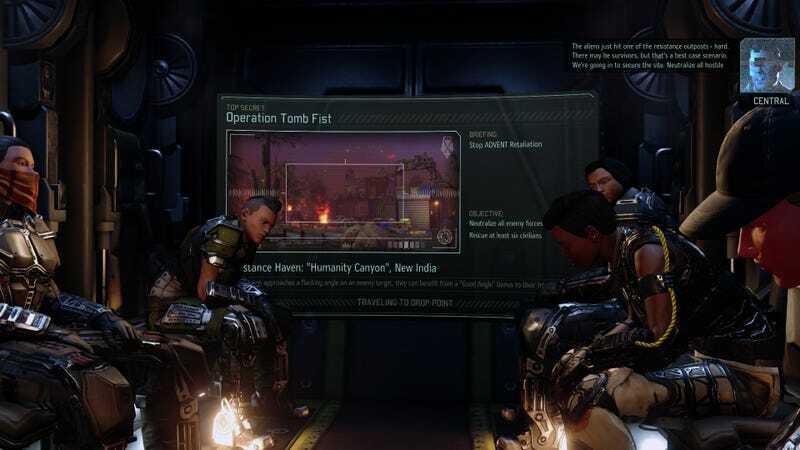 After all the heroism and loss that is XCOM 2's campaign? Damn. Goofs Supreme, I salute you.